Emergency dentists might be overlooked until you face severe dental issues in the middle of the night and require immediate help. In cases as such, emergency dentists are the way to go. 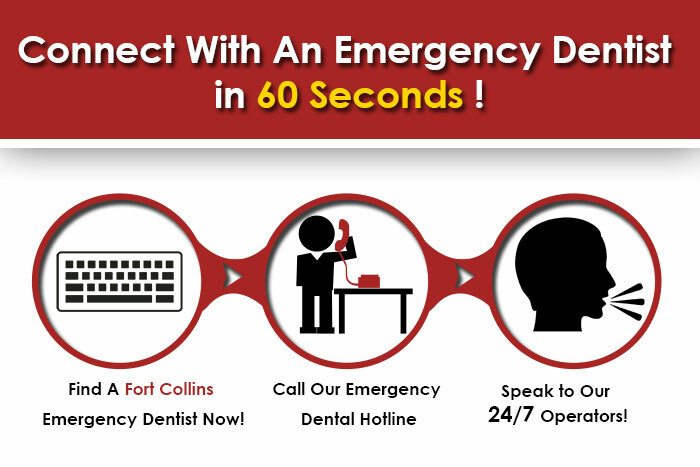 It is fortunate that a city as such as Fort Collins in Colorado has emergency dental services. Located 105 kilometers (65 miles) north of Denver, it is the fourth most populated city, which also happens to be the city where the Colorado State University is located. Considered to the beer capital of the world, it is easy to see why an emergency dentist would be required in a location as such. With the high amount of alcohol consumption in such a populous city, oral diseases should not come as a surprise. Unfortunately, not all dental clinics stay open in all the days of the week. Since most dental clinics tend to take the weekends off (Saturday and Sunday), Emergency clinics are the only solution for people who have urgent ailments and cannot wait until the Monday to visit the Dentist. Toothaches aren’t the only issues that you might have to suffer in the middle of the night. One can suffer from several different oral health issues as well, as such as Gingivitis, Periodontitis, etc. A 24-hour emergency dentistry is a must in a city as populated as Fort Collins, as there might be a whole array of issues that people can suffer from in the weekends that need immediate care. If you don’t know which dental care service to contact during emergencies, fear not. We have compiled a list of emergency dental care services that you can contact in times of need. You can also call 911 if the dental issue grows into something much more life threatening. DescriptionYour views of the front range mountains aren’t going to seem as scenic if you are dealing with massive amounts of dental pain! If you are struck down by pain, simply call our 24-7 hotline, and say goodbye to the miserable existence of the past few days. Call at (970) 223-1166 to make an appointment. If you have an emergency and need a dentist after hours, then call their emergency number, which is 1-(970) 315-2539. Operating since 1967, this dental clinic has the necessary experience to deal with your molars, and they’re sure to provide you with a good service. Looking for a 24 hour emergency dentist in Denver Colorado?